Jenny & Chris are high school sweethearts, and in every picture it’s beyond evident that they both just adore each other. Jenny, a wedding planner from It Takes Two Events in Atlanta, knew exactly what she wanted from working in this crazy industry! As we sat through long vendor appointments planning their special day, Chris was such a trooper! He was the perfect groom to work with, making Jenny giggle to keep her calm through all these decisions! Jenny loved the simplicity of the Meeting House and had to have her ceremony there. She didn’t need any decor to add to it, but our amazing event designer from Myrtie Blue had a few surprises up his sleeve just for the happy couple! 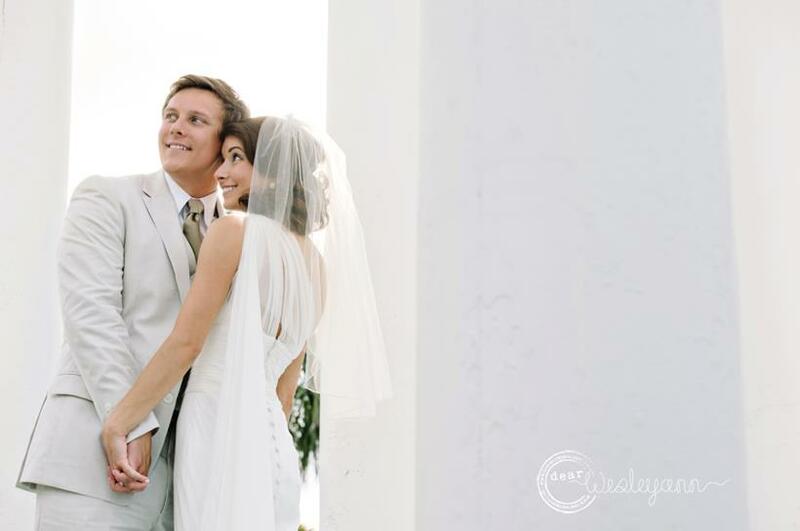 Dear Wesleyann captured this couple’s classy style perfectly. After shooting their engagement session in the winter, Jenny and Chris felt right at ease with Wesleyann on their wedding day! I just adore Jenny’s happy smile in this picture! The weather couldn’t have been more perfect for these two! After having an iffy winter here in Florida, it was a nice break to have the sun shine brightly for this sweethearts! Brian Watson from Mytrie Blue did a fabulous job on her bouquet as well! We love the pops of the light pink anemones with the dark violet centers! Did we mention how stunning she look on the right?! 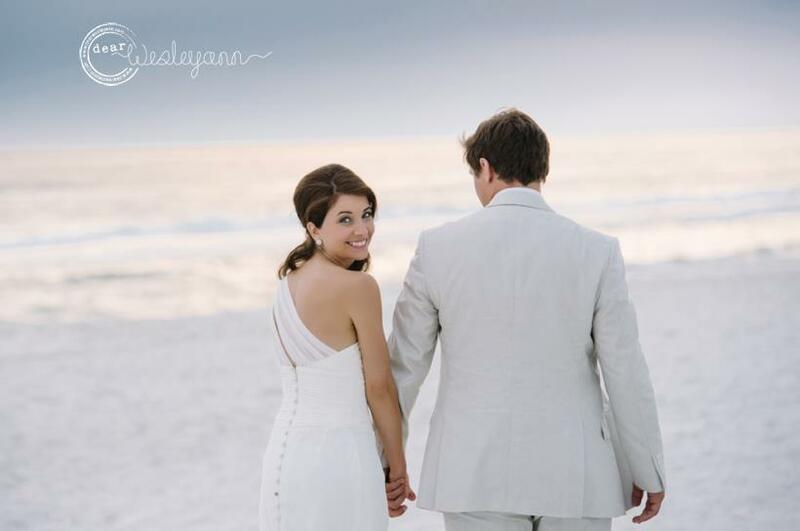 Our favorite walkover #7 is the perfect bright white backdrop for her flowing dress! 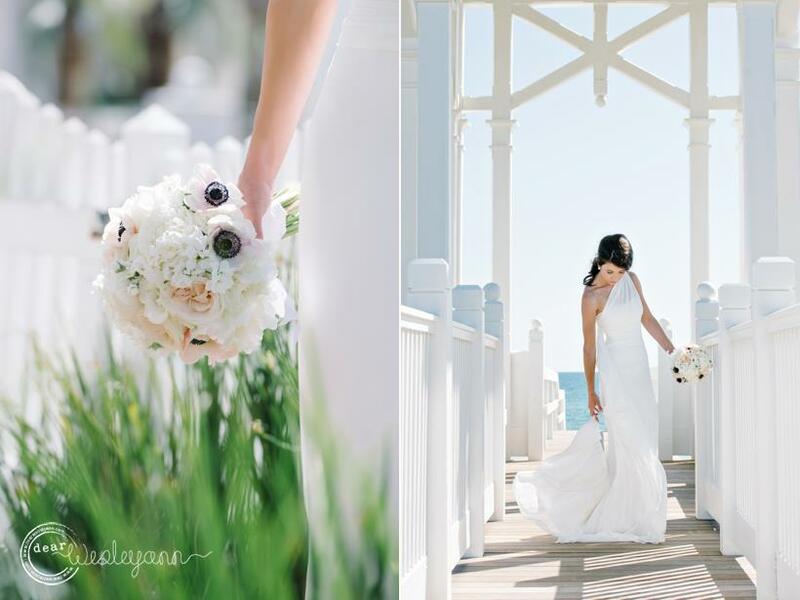 Of course the brilliant Wesleyann came up with this creative setting for their “almost” first look! 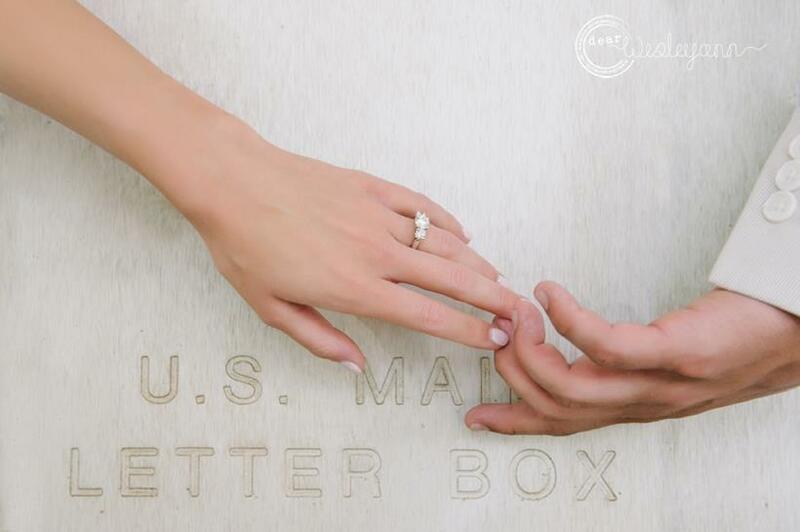 Jenny and Chris wrote letters to each other and read them in the Carillon Post Office right before the ceremony. This picture describes both of their personalities perfectly, with Chris’ note for Jenny ripped out of a spiral notebook and Jenny’s a petite, clean piece of paper. We absolutely adore this picture! The smallest of gestures are always the sweetest. 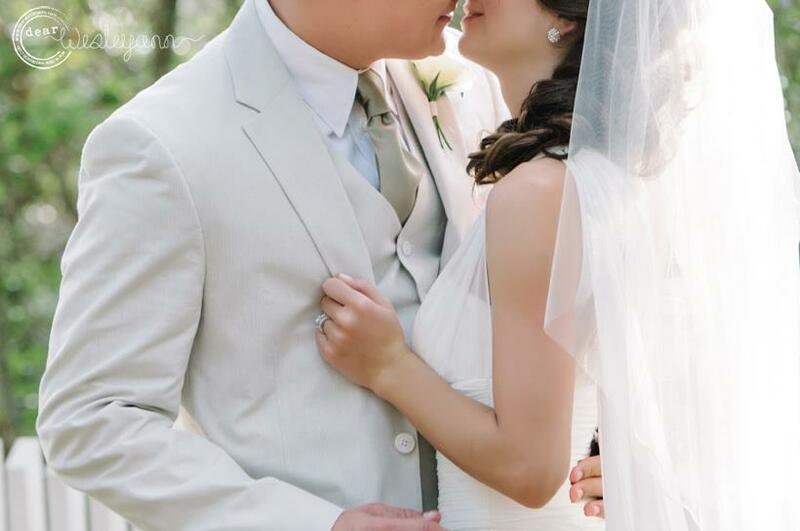 I just love the way the sunshine hits Jenny’s veil and sparkly studs in this picture! Getting to know this couple has been such a joy, and we almost didn’t want their last wrap up meeting to come! We wish Jenny and Chris only the best for their many years to come!